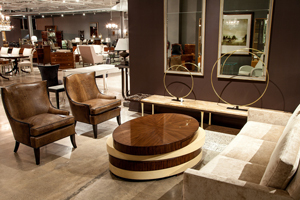 It’s time to reinvent classic designs with modern styles of fine furniture and decor. While “fresh” and “versatile” dominate 2016 interior design trends, many customers ask us how they can avoid being swept up in the winds of constant change that modern styling demands. Here are some expert tips on how to achieve a balance between classic, retro and new to create your own signature style. Come and see our high-end furniture displays for ideas. Fusion of styles: The mixing of old and new gives you the option of retaining your classic furniture while introducing some fine modern pieces to be trendy and functional. 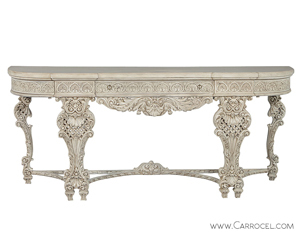 Splurge on high-end Distressed Cane Settee accent seat or a French Hand Carved Louis XV Rococo Style Console table to change the focus, feel and functionality of your living room or bedroom. Choose different materials: Modern style is characterised by exotic woods (both light and dark stains), shiny metals (gold and bronze are definitely in) and luxurious stone (like marble and granite). Our fine furniture store offers an exotic range like our French Modernist Table and the Golden Madrone Modern Sideboard that will immediately make over the look of your room. Transform your space with paint: If you’re looking for a quick makeover, invest in a single piece of high-end furniture and new wall colour. Did you know that fresh paint and accessories can make the old look like completely new? Offset natural and pastel tones with shades of grey (a dominating colour choice in 2016), black and white. Or, freshen up your browns with tinges of green and natural stone colours. Introduce a pop of bright colour with a single accent chair, pillows or a rug for interest. Reuse and recycle fine furniture: Move versatile pieces of furniture and accessories into different rooms; for example, from the living room to the home office or bedroom and vice-versa. Sometimes swapping and rearranging furniture is all that is required to create a fresh new look. You could also refinish classic furniture for a modern look and functionality. 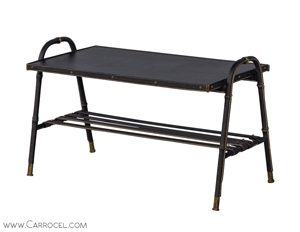 The experienced craftsmen at Carrocel can breathe fresh life into your vintage pieces to create brand new items. You can start a stylish trend on your own! 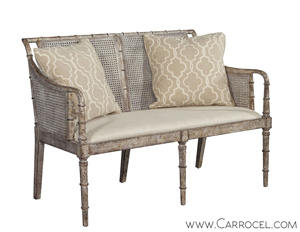 Come to the Carrocel furniture store to enhance your décor with modern pieces from around the world. We offer an amazing selection of standalone pieces and complete suites crafted in North America and Europe to dress up your home. 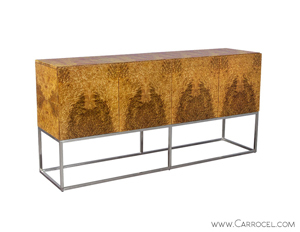 Visit the luxurious Carrocel showroom in Toronto for high-end furniture that will leave a lasting impression. Living, dining and bedroom, home office or entry way—we have something unique for every part of your house. Our experienced and friendly staff will be happy to show you around, discuss your decorating ideas and help you make a selection. To check out our wide variety of fine living room and bedroom furniture, please visit our furniture store. Call us at 416-999-2525 or contact us online for more information.